Idaho State is full of uncertainty and question marks, and they will likely have some new faces in big roles. One of the holdovers is Chase Grabau, who will be one of the Bengals key players as a senior. 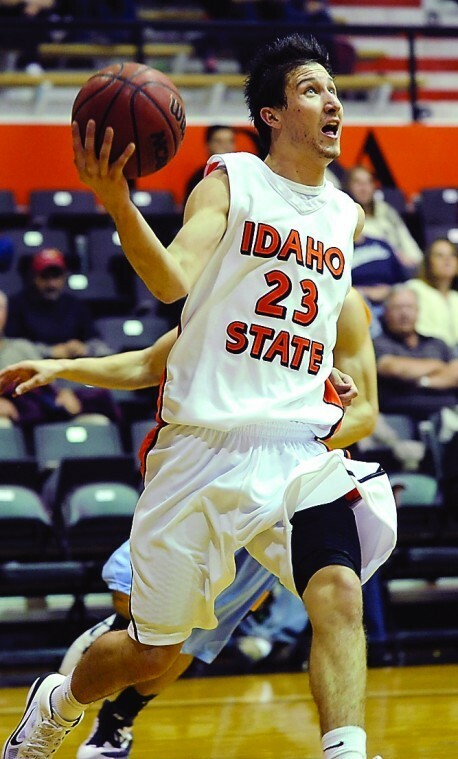 In his first year at Idaho State (after spending two years at North Platte CC, the 6'5'' G showed a nice, versatile game for the Bengals. In 27 minutes, he averaged 6.3 PPG, 4.4 RPG, and 2.0 APG. He was a very solid role player for them, but they hope he can take the next step and become a solid starter. His best attribute is his versatility. He is a solid rebounder for his size, as he had a respectable 13.4% DR%. He can also make some plays for others, as his 15.6% ARate (along with the fact that he averaged 5 assists per game his sophomore year in Junior College) would attest. Finally, he makes things happen defensively, snaring 1.4 steals per game and a steal percentage that ranked 177th in the country last year. He is efficient offensively. He shot 37% from downtown, which is enough to keep defenses honest. He shot nearly 50% inside the arc. 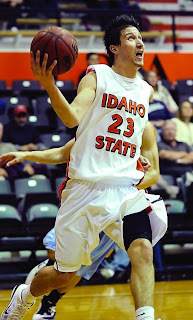 He is certainly not going to be a main option for Idaho State offensively, but he does enough that he is not a liability scoring the ball. Combined with his playmaking ability, and he is a nice guy to have out there. Joe O'Brien is looking for a solid season to try to save his job. If that is going to happen, he will need big minutes from Chase Grabau, and for him to step up and become a solid starter for the Bengals. He will have a key role for this team as a senior and as a guy that can play some different positions. I'd say Grabau's best attribute is his work ethic. He always comes ready to play and gives it his all. He needs to shoot and score more, but that's easier said than done in O'Brien's offense. So many players lose confidence in his system, and most don't want to be the one shooting. He is a nice young man. I met him at the ISU football tailgate parking lot where ISU basketball had a table. Very respectful and I think it will be fun watching him. All the basketball players were fun to see. My son (who is 6) wanted to talk to them so we went. My son loved Chase and a few of the new boys this year. The boy over 7 foot was amazing!